We offer short-to-long term solutions – from pricing data, news and market analysis, to supply and demand forecasts, of both phthalate and non-phthalate plasticizers, ensuring you can evaluate the markets from every angle. Supply levels across dioctyl phthalate (DOP), dioctyl terephthalate (DOTP) and diisononyl phthalate (DINP) plasticizers were sufficient throughout early 2019. 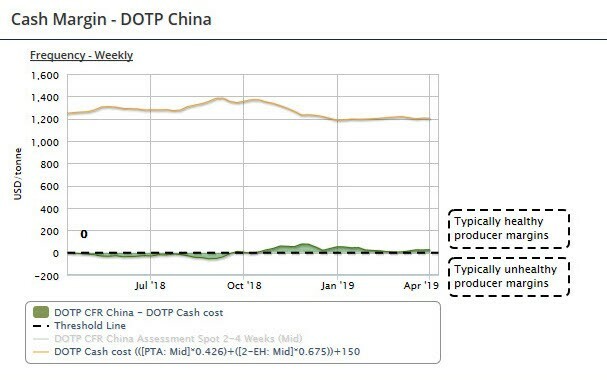 Propylene inventories, upstream of DOP and DOTP, reached record highs, leaving plenty of available supply, ensuring DOP and DOTP production. DINP feedstock phthalic anhydride (PA) supplies were sufficient to meet contractual obligations. There was tightness in mixed xylenes (MX), a precursor to DINP as refinery maintenance season constrained supplies for that product. Economic uncertainty dampened demand appetite for plasticizers at the start of 2019, leaving the initial outlook for all three plasticizers unclear. Seasonality, US-China trade talks and a global trade slowdown contributed to sluggish demand. Tensions surrounding economic conditions in the US eased significantly during the quarter, contributing to demand growth, which has since held largely steady. Diisononyl phthalate (DINP) grade supply returned to a normal level in Q1 2019 as BASF on 7 January lifted its force majeure, which was declared following low water levels on the Rhine. Evonik had lifted its declaration in December and supply of DINP was more than sufficient. There were pockets of snug supply for dioctyl terephthalate (DOTP), but sources were able to locate the volume required. Dipropyl heptyl phthalate (DPHP) was said to be balanced. Demand for plasticizers in Europe was reasonable for some in Q1 2019. There was no obvious surge to restock volume in January as can sometimes be the case. Some sources said consumption was down compared to the same period in 2018, but flat to fourth-quarter buying interest. 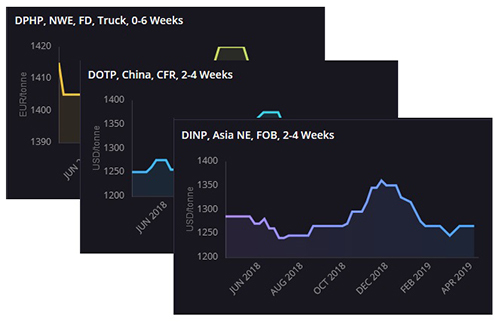 If you buy or sell plasticizers or related products, ICIS’s reports, news and market intelligence will give you the price data and analysis of price drivers that you need to make confident commercial decisions. 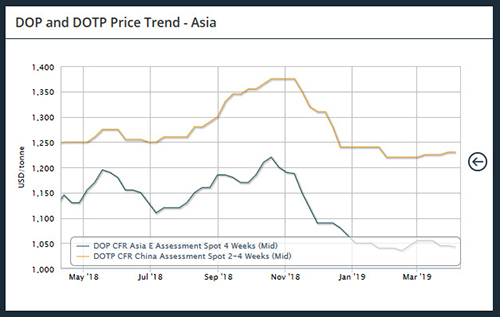 The weekly ICIS phthalate/non-phthalate plasticizers regional pricing data covers Asia, Europe and US and offer timely and in-depth market data, including price assessments, trade activity, feedstock supply and analysis of each region’s current and upcoming export availability. Live Disruptions Tracker, Impact View: Quickly assess whether the market is long or short and mitigate risks to supply availability. Supply & Demand Outlooks: Quarterly supply & demand outlooks across the commodity chain. Plasticizers are chemical compounds or additives that are added to polymer material to alter the physical properties to achieve certain characteristics such as flexibility and durability. These are applied in various types of products in every industry from synthetic fabrics to plastics packaging and automotive. Plasticizers are categorized into different families falling under phthalates or non-phthalates.